That community will meet at the Getty Center on Friday night when No Sesso debuts a site-specific presentation in the courtyard, joined by cellist and vocalist Kelsey Lu. FRIDAY FLIGHTS, 6 pm to 9 pm. *”Warm Bodies, No Sesso—The Art of Pierre Davis,” text by Barlo Perry, interview with No Sesso by Dorothée Perret and Todd Cole, PARIS LA 16 (2018): 136–143. Above: PARIS LA 16 (2018), No Sesso Fall 2017 collection. Photograph by Todd Cole. Below: PARIS LA 16 (2018), No Sesso 2018-1 campaign. Photograph by Dicko Chan. This entry was posted in CONVERSATION, FASHION, MUSIC, PERFORMANCE and tagged Barlo Perry, Dicko Chan, Dorothée Perret, Friday Flights, Getty Center, No Sesso, Paris LA #16, Paris-LA, Pierre Davis, TODD COLE on August 15th, 2018 by Barlo Perry. “The Neutra House project is some sort of a dream project. Not only does it contribute to architecture in general, but a great deal to our well being. In this specific case the house matches in shape, size, style, and configuration our personal needs quite well. “[The house] absorbs and reflects its environment, and is simultaneously woven into and through nature, embracing naturally its surroundings. It is very present in so many nice details, tempting permanently to open new perspectives. Yet, at the same time, it’s almost invisible as you immediately feel part of it when you are in it. What more can you expect from good design? Bless has moved into the great Neutra VDL Studio and Residences, and there are five more Saturdays to catch their Bless no. 63 Neutra Dasein project, curated by Douglas Fogle and Hanneke Skerath. NEUTRA VDL STUDIO AND RESIDENCES, 2300 Silver Lake Boulevard, Los Angeles. *“Bless, Ines Kaag and Desiree Heiss in conversation with Helena Papadopoulos,” PARIS LA 16 (2018): 171–173. Special thanks to Neutra VDL director Sarah Lorenzen. This entry was posted in ARCHITECTURE, ART, DESIGN, FASHION and tagged Bless, Bless No. 63 Neutra Dasein, Desiree Heiss, Douglas Fogle, Hanneke Skerath, Helena Papadopoulos, Ines Kaag, Neutra House, Neutra VDL Studio and Residences, Paris LA #16, Paris-LA, Richard Neutra, Sandy Miller, Sarah Lorenzen on August 10th, 2018 by Barlo Perry. A new restoration of the Barbara Loden masterpiece WANDA (1970) opens in Los Angeles this week. A key work of modern American cinema, this was Loden’s only feature film as a director. Loden’s son Marco Joachim, and Kate and Laura Mulleavy of Rodarte will introduce the screening this weekend at the Aero. Saturday, August 4, at 7:30 pm. August 11 and 12, at 7:30 pm, and August 18 and 19 at 8 pm. Poster image credit: Cinetic Media. Barbara Loden, Wanda. Image credit: Janus Films. This entry was posted in CONVERSATION, FASHION, FILM and tagged Aero Theatre, American Cinematheque, Barbara Loden, Bérénice Reynaud, Egyptian Theatre, Kate Mulleavy, Laura Mulleavy, Marco Joachim, RODARTE, Wanda (Loden) on August 3rd, 2018 by Barlo Perry. In conjunction with the exhibition ICONS OF STYLE—A CENTURY OF FASHION PHOTOGRAPHY, 1911–2011, Beverly Johnson will join Cheryl Tiegs and Patricia Velasquez for ICONS SPEAK—MODELS ON FASHION PHOTOGRAPHY. Wednesday, August 1, at 7 pm. HAROLD WILLIAMS AUDITORIUM, GETTY CENTER, 1200 Getty Center Drive, Brentwood, Los Angeles. Above: Cheryl Tiegs in a Gown by Halston, Brasilia, 1973. Photograph by Kourken Pakchanian. Gelatin silver print, courtesy of the Getty Center and Condé Nast. 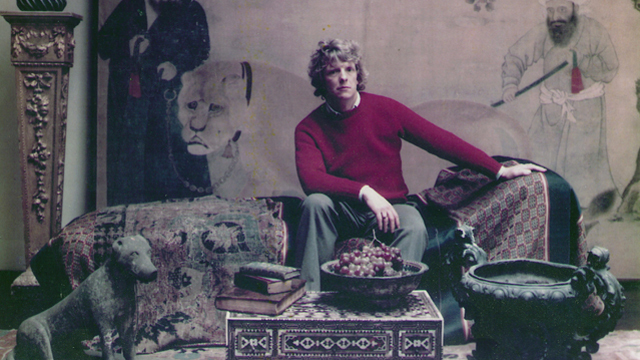 © Condé Nast/Vogue, December 1, 1973. 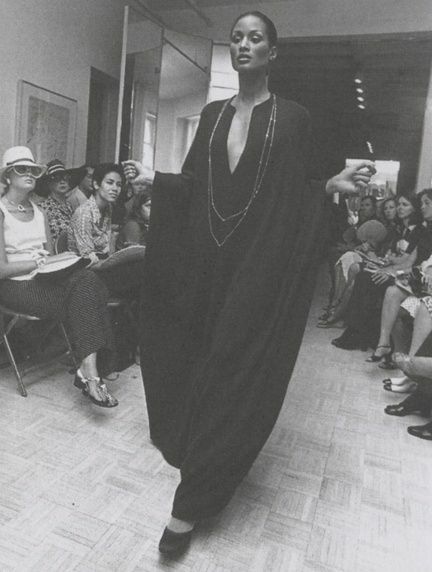 Below: Beverly Johnson walks for Halston in the 1970s. This entry was posted in CONVERSATION, FASHION, PHOTOGRAPHY and tagged Beverly Johnson, Cheryl Tiegs, Getty Center, Kourken Pakchanian, Patricia Velasquez on July 30th, 2018 by Barlo Perry.